Cemex have a concrete plant next to Rufford Street, they bought it from Readymix. It’s a legacy of the old Kings Cross when people just thought they could dump noisy bits of industry here because no one cared. The plant was built in the early 1960s on the site of an old, architecturally distinctive mortuary of which only the forbidding wall survives. At the planning inquiry the inspector said that he thought it didn’t matter that the plant was noisy as the steam trains would drown it out (seriously) and was backed up on appeal by the Minister. As the picture shows the plant is cheek-by-jowl with houses. Further to your email below improvements were made but I am afraid things have got out of hand again. Your plant is working all hours – today there was a huge din and screech at 0700 when tippers arrived and reversed etc. with their warning hooters at full volume. We have just been listening to the cacophony of your vehicles too this evening – hence the plant is still operating as late as 1945. It’s just not considerate and not appropriate in what is now a predominantly residential area. Please revert to the sensible hours agreed some time ago with Islington Council. Also, there are a couple of techniques that you are employing that are very irritating and I wonder whether they can be mitigated or done elsewhere at your other plants that are not near residential properties. They are: (1) a task where a man uses a large hammer to knock bits of concrete out of your mixers usually at the end of the day; because of the reverberation from the metal of the vehicle this is extremely irritating and (2) another cleaning technique where your mixers go round and round and make a really annoying ear-penetrating and continuous noise as bits of concrete swish around inside of the mixers. I have copied in my local councillor and also our community website. I’d be very grateful if you could ensure that actions are taken within 5 business days to stop the noise torture. I don’t want to have to escalate this. It would be good too if you could reduce the amount of dust you’re causing to enter my property in this hot weather as all of my windows are open. Smartening up the site further (it has improved a bit) would be good as its definitely an eyesore. Cemex have offered a meeting to discuss. As they have done in the past when neighbours raise problems with them. But the simple fact is that Cemex’s London management structures are weak the the plant keeps sliding back into unacceptable modes of operation. 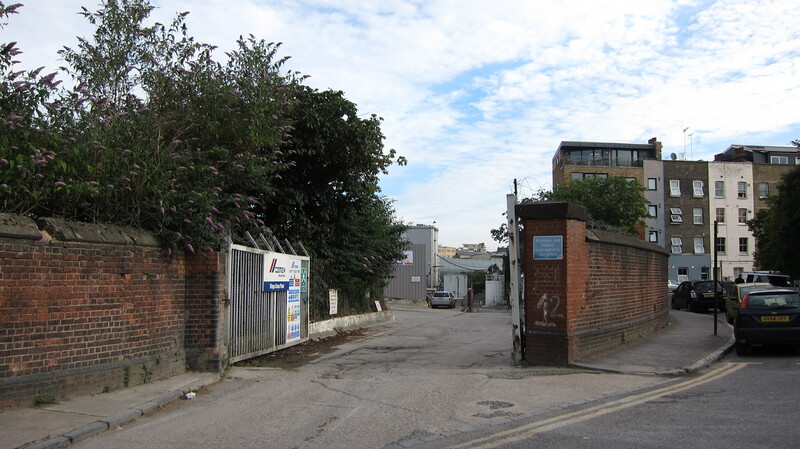 Back in 2006, Islington’s Environmental Protection team engaged Cemex and forced them into a noise action plan. The formal correspondence and action plan are in the two letters in this file. In my opinion Cemex are repeatedly in breach of this action plan and the time has come for the council to take legal action to prevent the plant from operating. This entry was posted in Anti Social Behaviour, Crime etc, Noisy CEMEX concrete plant Rufford Street and tagged cemex, noise, randells road, rufford street. Bookmark the permalink.